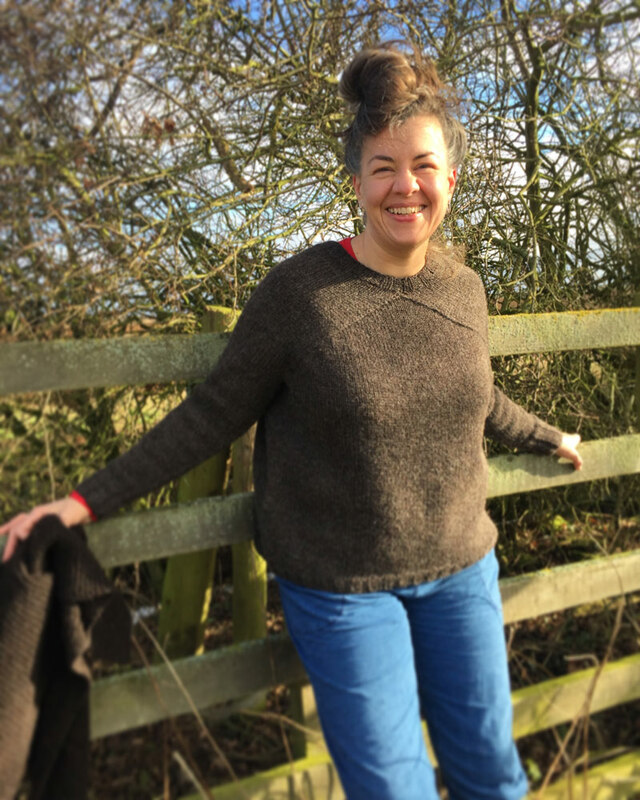 Rachel Atkinson is the eponymous Daughter of a Shepherd behind the beautiful, British wool. She has released her first, long-awaited book, Volume 1: Beginnings, featuring her 4-ply and DK yarns, which we’re celebrating at Loop, on April 21st. 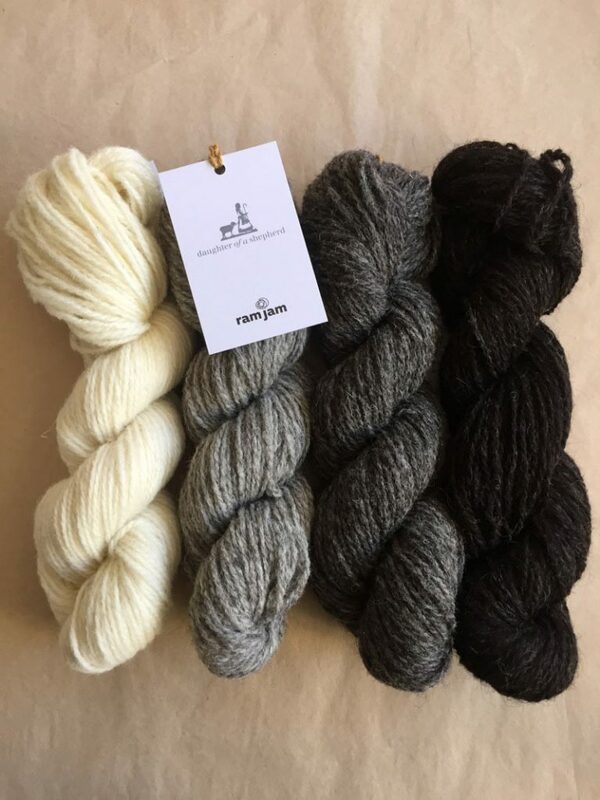 We’d also like to introduce you to the newest yarn from Daughter of a Shepherd, which is 100% British woollen spun 2-ply in a worsted weight called Ram Jam. 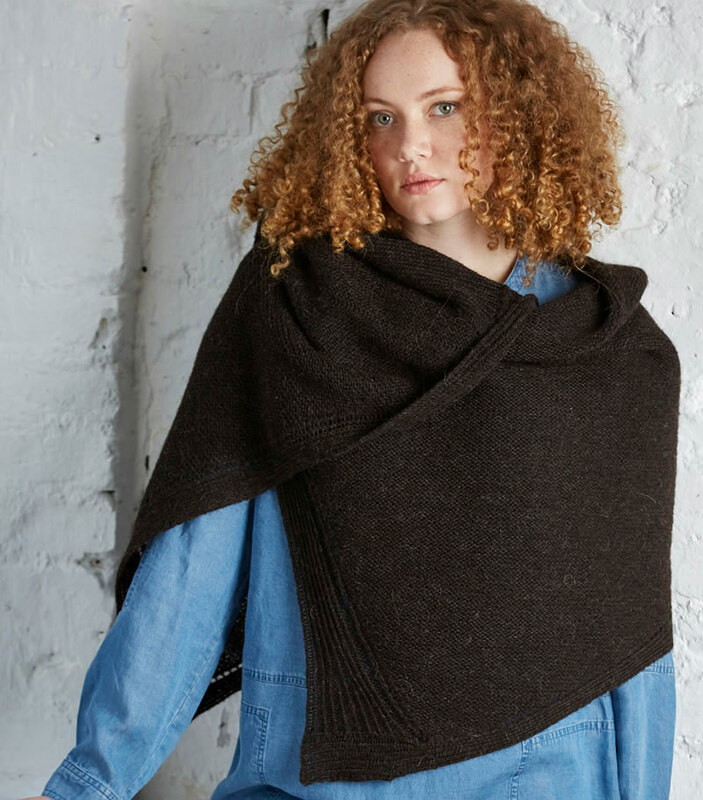 Daughter of a Shepherd uses only 100% British wool from shepherds and producers within the United Kingdom. 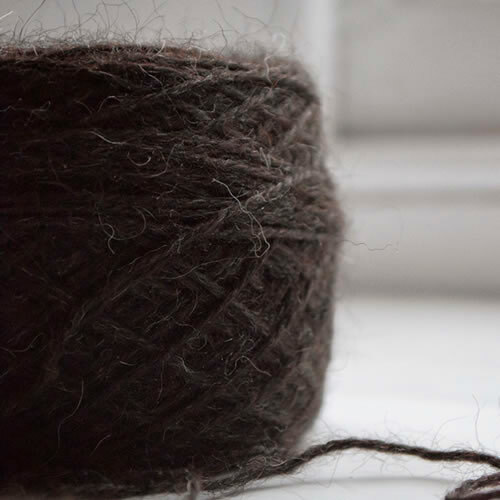 The 4-ply and DK feature Rachel’s father’s flock of Hebridean sheep. The colour of the Daughter of a Shepherd 4-ply and DK are so much more than ‘just brown’. 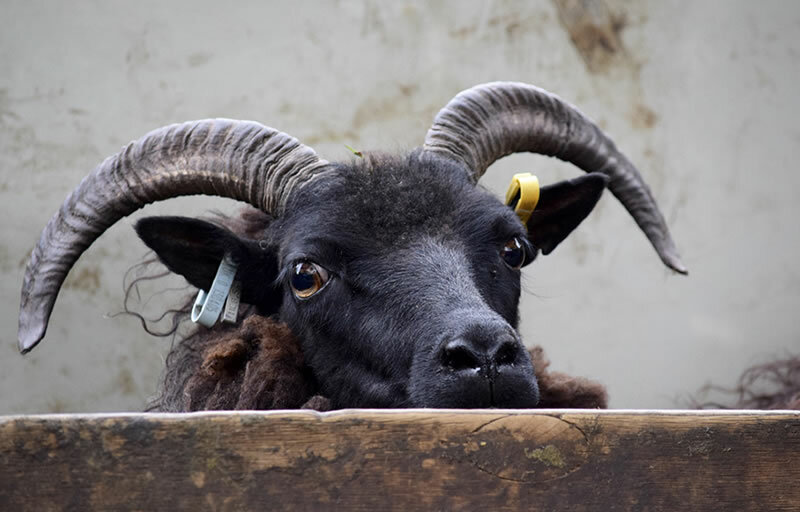 They have a warmth created from the golden, chocolate, and silver fibres of the Hebridean fleece. Under certain lights they can look pitch brown, whilst under others they take on a much lighter appearance, but the soft tones suit pretty much everyone. The yarn retains its original signature scent of the fields, flock and new lambs in straw-filled barns! I will never forget receiving and opening the very first box of yarn from the mill back in 2015. Such an incredible feeling of relief, celebration and “yes, I did it”! But you know what, every time I spend time with the sheep, take fleece to the scourers, visit a mill, open a box of printed books, finish a collaboration with someone, or any of the other amazing opportunities running Daughter of a Shepherd brings me, I am thrilled and feel so very lucky to call this my job. The Daughter of a Shepherd first volume book, Beginnings, showcases these beautiful 4-ply and DK yarns. Designers and writers celebrate the spirit and unique qualities of this yarn with essays and a collection of 10 knitting and crochet patterns for men and women. There is even an introduction by Loop’s own, Susan Cropper! Designs and essays included feature: Bristol Ivy, Clara Parkes, Felicity Ford, Jane Crowfoot, Jane Lithgow, Mother Seraphima + Mother Raphaela, Rachel Atkinson, Rachel Coopey, Sarah Hatton, and Tom van Deijnen. 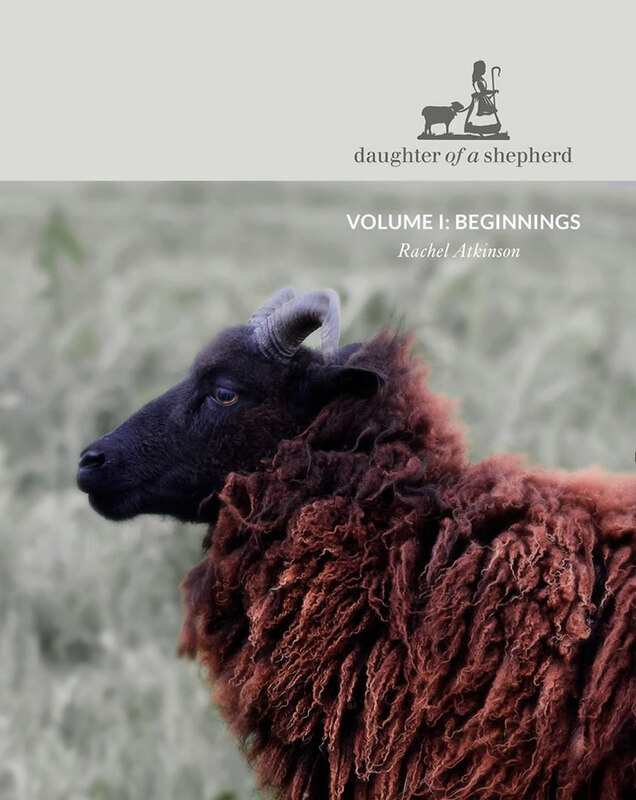 We are giving away two prizes of a signed copy Volume 1: Beginnings as well as either a skein of Daughter of a Shepherd 4 Ply or DK yarn. 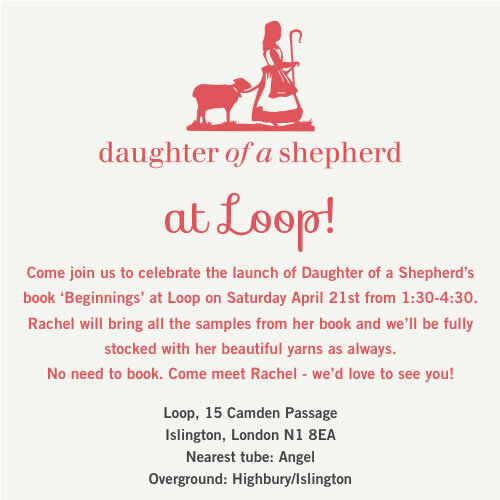 All you have to do to enter is to follow both @looplondonloves and @daughterofashepherd on Instagram and to comment in the Loop Instagram post saying which pattern from Rachel’s book you would most like to make. Good luck to all of you! Comments will stop being entered into the giveaway at midnight UK time on Wednesday April 18th. Ram Jam is 100% wool that has been woollen spun as a 2-ply yarn to a worsted weight, with 115 metres (126 yards) on each 50g skein. 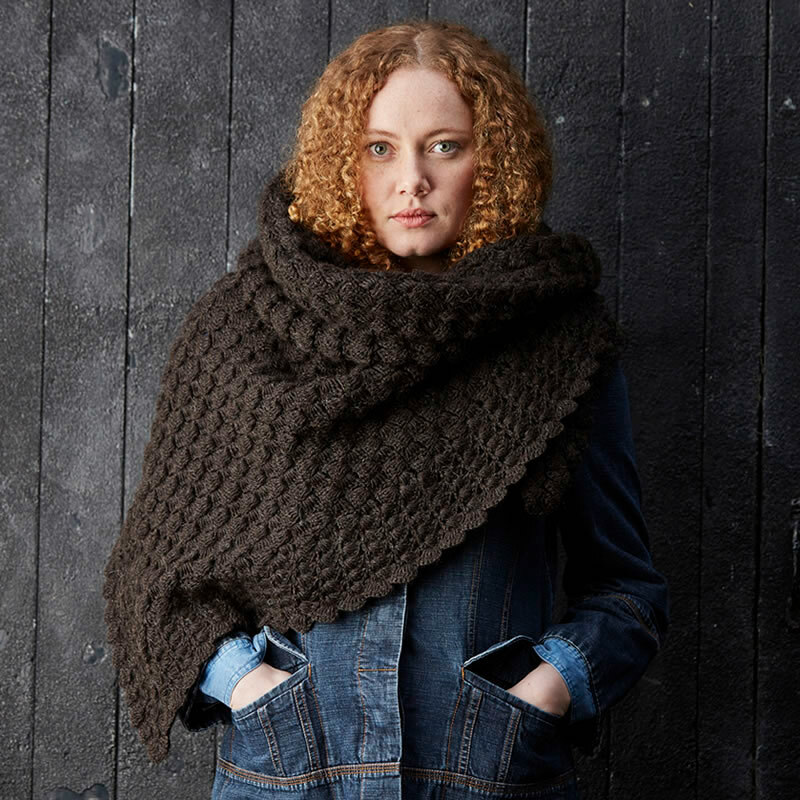 It is light and bouncy to handle, with good stitch definition, a soft halo and lots of character. This is very much a ‘woolly’ yarn. 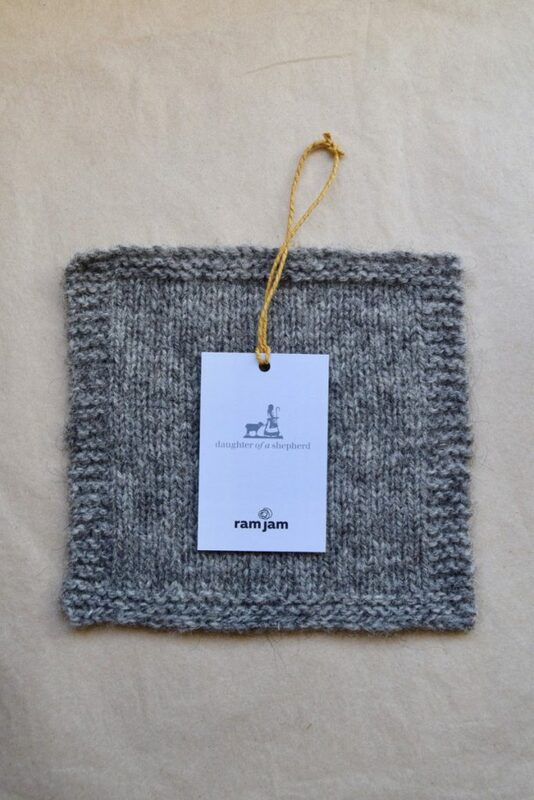 Ram Jam comes in four natural colours: Natural white, light grey, mid-grey and natural black. All would make outstanding, classic, outerwear sweaters: perfect for cables and textured stitches. Please join us at Loop on Saturday to see the new book and Ram Jam! 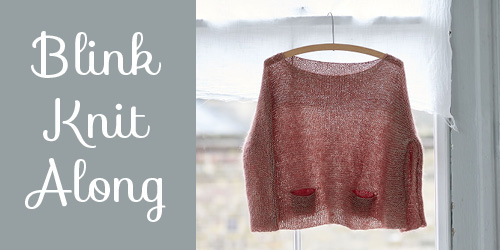 A final reminder that we’ve started a Blink Knit Along over on Ravelry. Come over and join us, anytime. We’ll have lots of tips, tricks and Blink related discussion. The Escrick pattern made me want to grab my crochet needle. I would make the sheldrake pattern from the book! Yah! A pattern book just for Daughter of a Shepherd yarns – how wonderful! I would love to do the Wheldrake to start with. The patterns are beautiful . 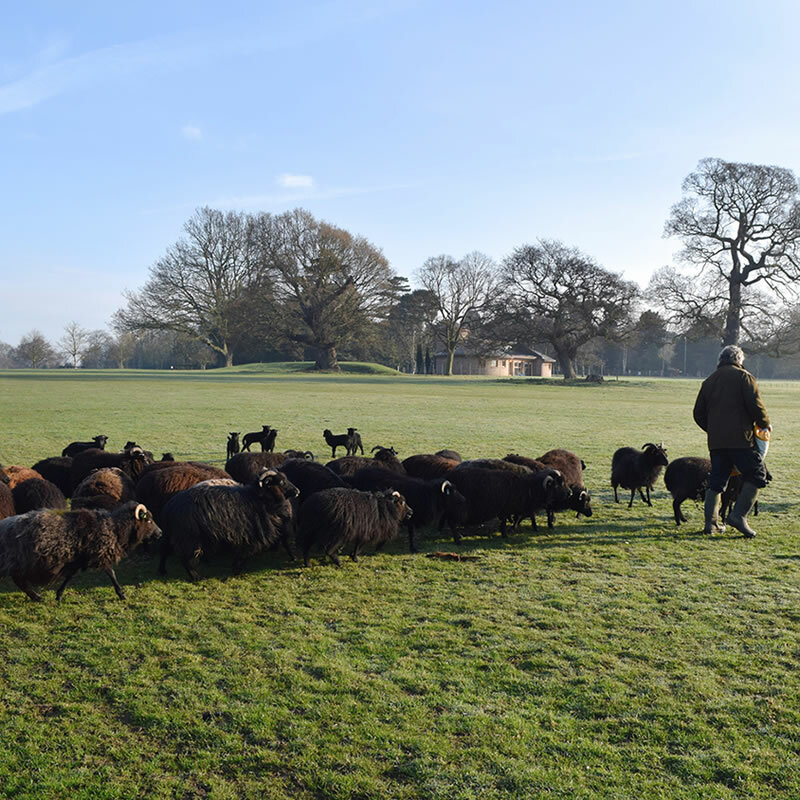 Especially the Skipwith cardigan. Love the lace panel.